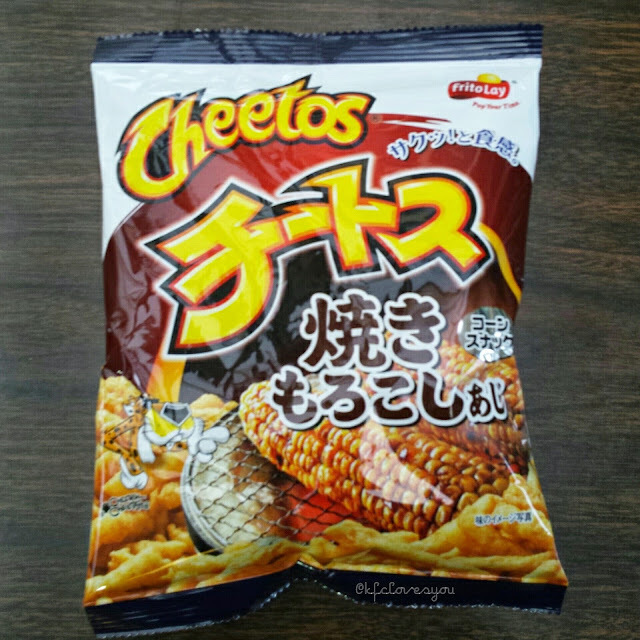 Today's snack post features this grilled corn flavored Cheetos I came across. I think it is a sweet grilled corn w/ butter, but since I can't read Japanese, I'm not 100% sure! 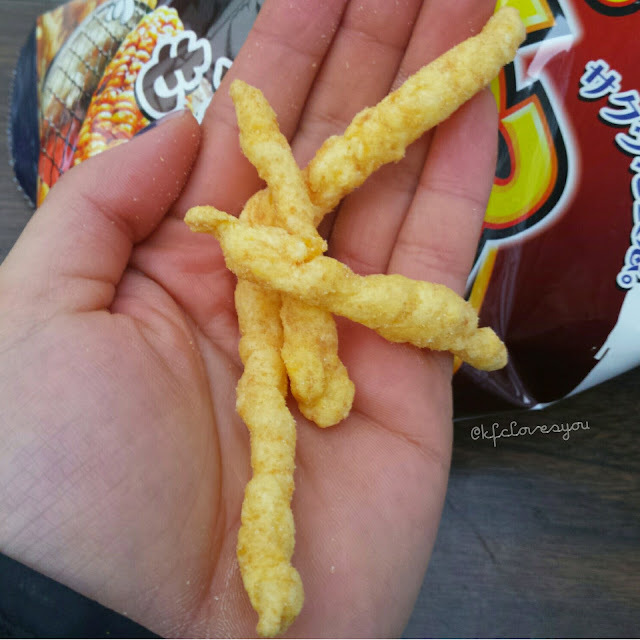 Think of your normal cheesey cheeto, without all the orange, and you have the simple corn snack. Imagine the flavor of a sweet yellow corn, right of the grill, topped with butter--THAT's what you get with this snack. This cheeto definitely captured the flavor of sweet corn really well without being overly sweet or salt. 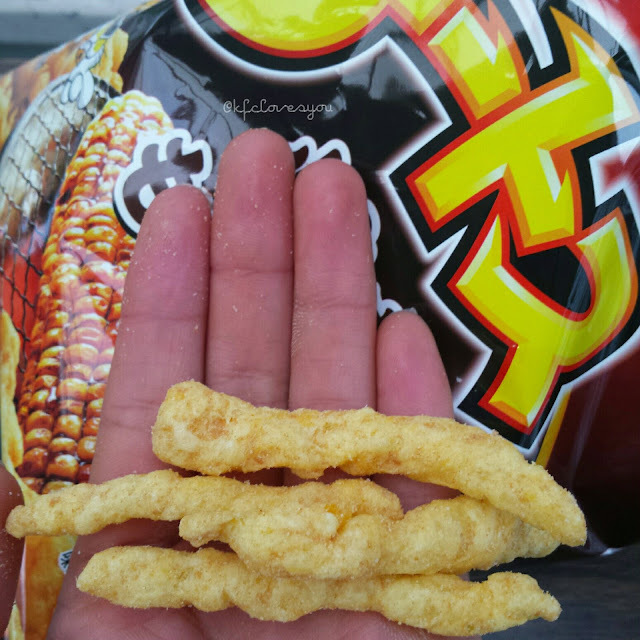 I'm also a sucker for ALL things that has to do with sweet corn flavor (I like the majority of Asian snacks that are a 'sweet corn' flavor) and this one was no exception. I think this one will resonate more with people since Frito Lay and Cheetos are a very recognizable brand. I found this at my local Japanese grocery store for around $2.69 a bag. If you're by an Asian or Japanese focused grocery store, definitely try to find it and check it out! 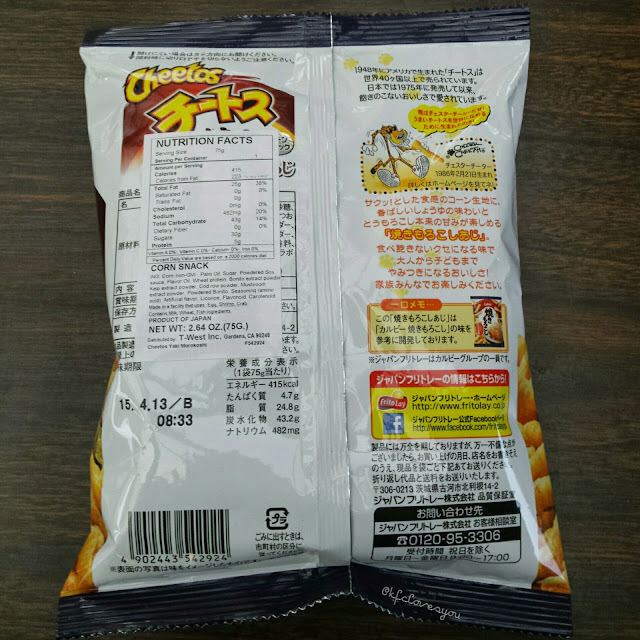 Readers, have you tried Japanese Cheetos before? 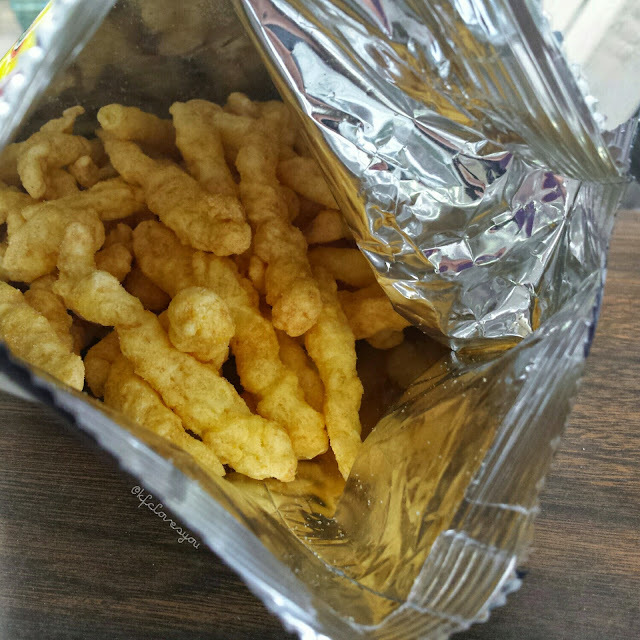 What are your favorite Japanese snacks? Let me know! Just purchased this flavor. Looking forward to trying. I really enjoyed the "delicious salt" flavor that I picked up last week.